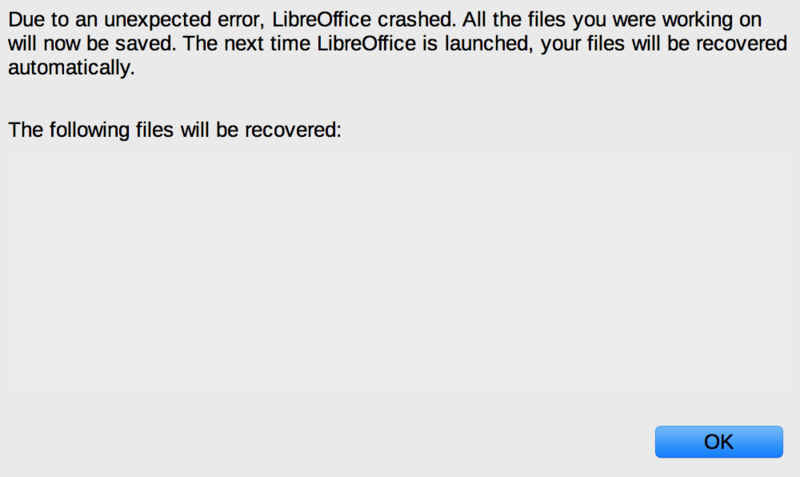 I was keen to try the new LibreOffice 6 on my Macs. I have Microsoft Office on here, but only for emergencies; LibreOffice/OpenOffice has long been where I do important work. Unfortunately it’s too unstable to use. Through trial and error, it looks like its a problem with OpenGL. If you leave it disabled by default, it’s fine. Enable it, and all hell breaks loose. I’ll see if I can find their issue tracker and report it.